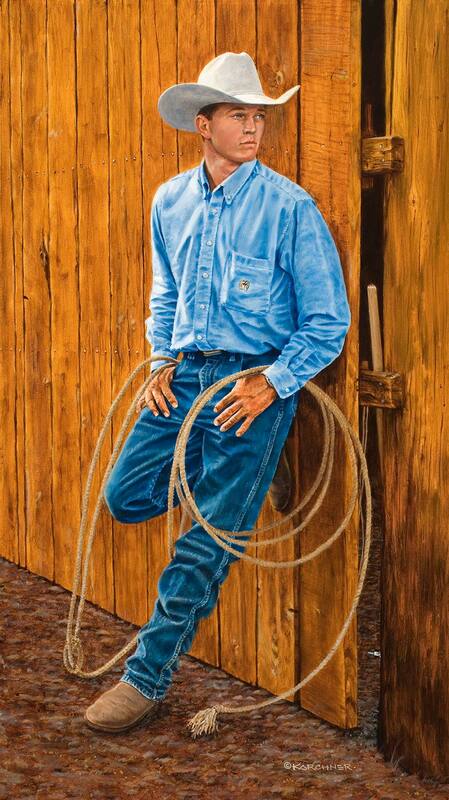 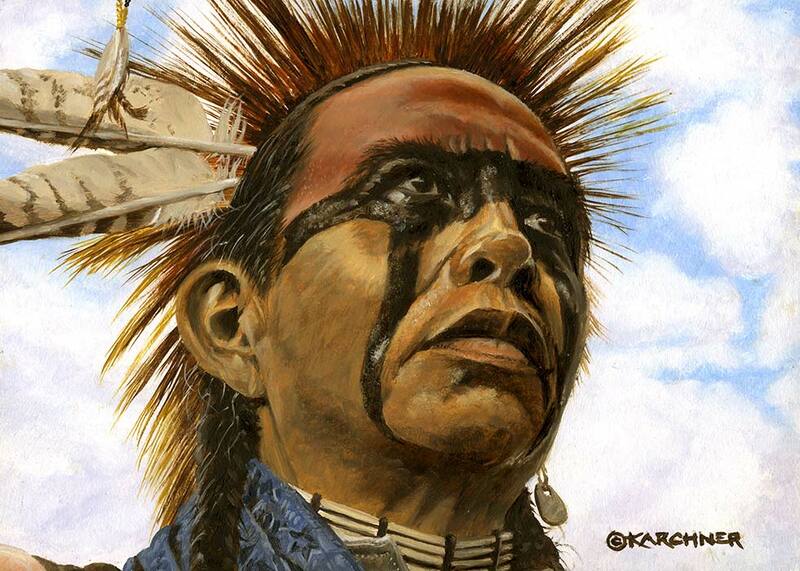 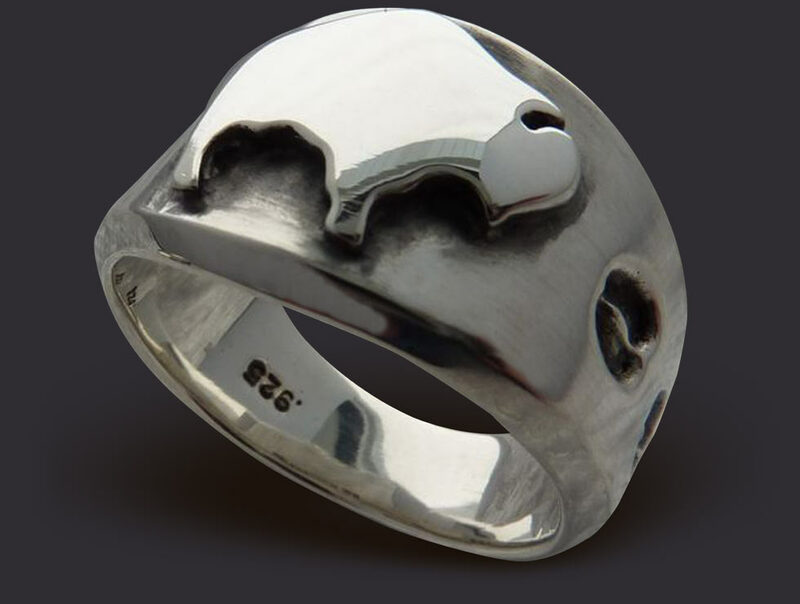 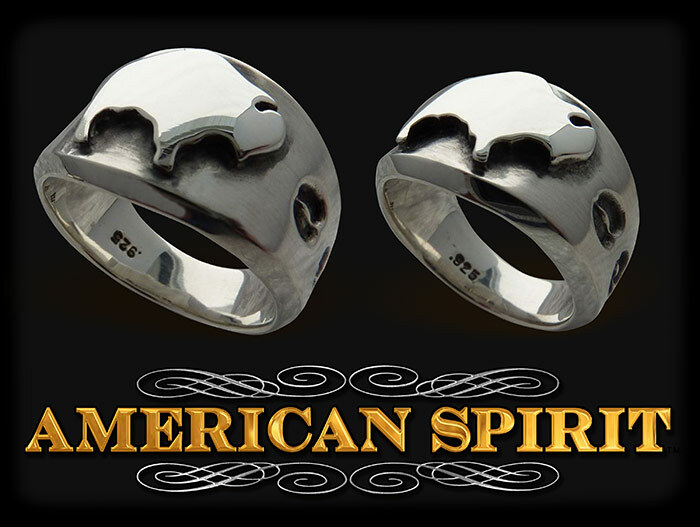 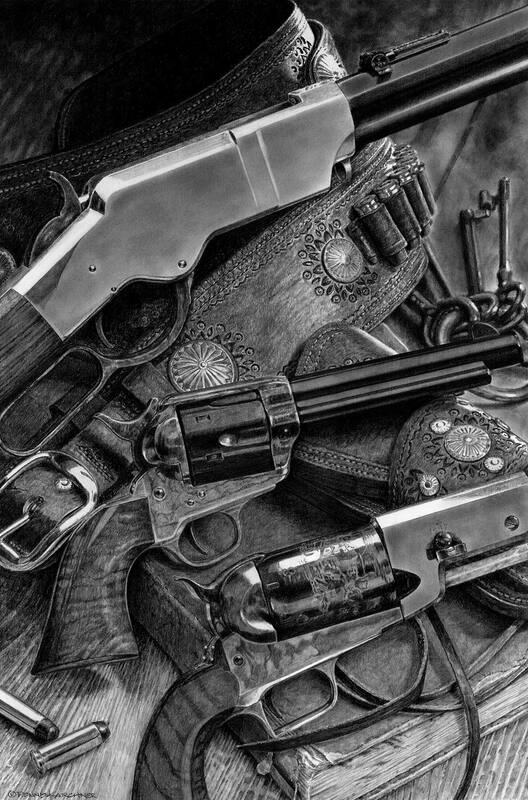 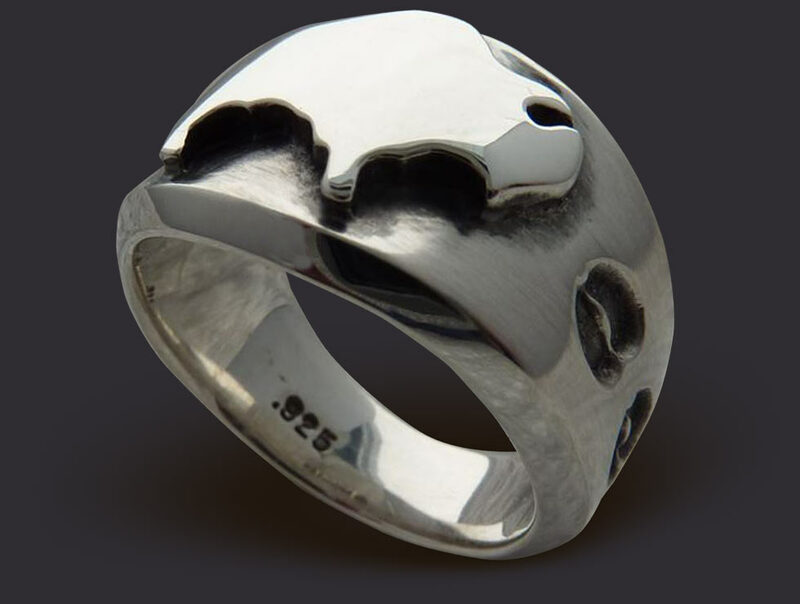 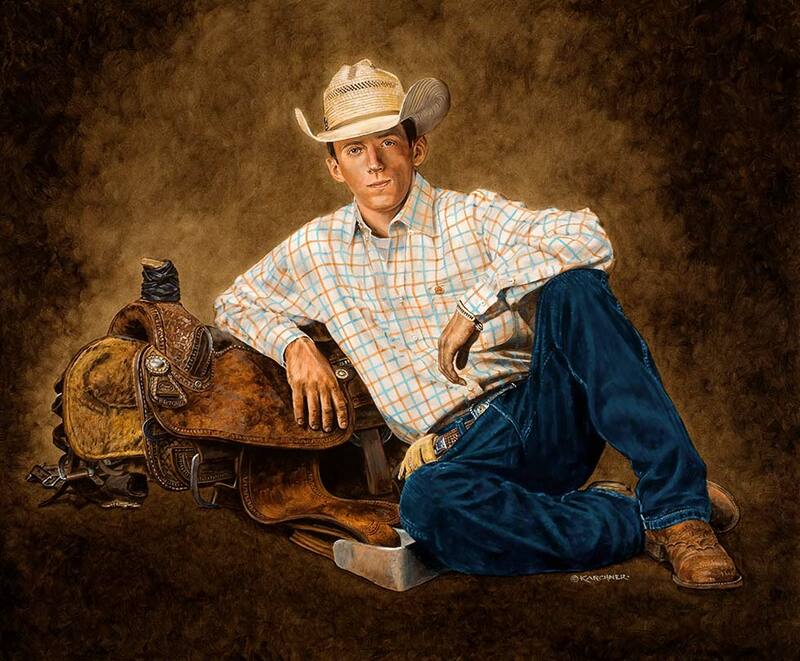 Denny Karchner is among America’s fastest up and coming western artists. 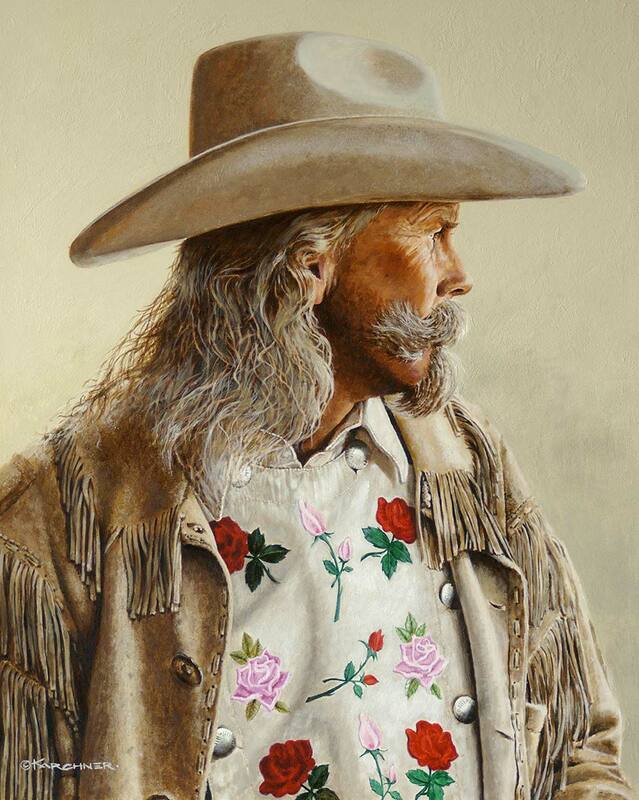 Denny’s “Western Art” was spawned from a deep passion for the love of art since the tender age of three-years-old. 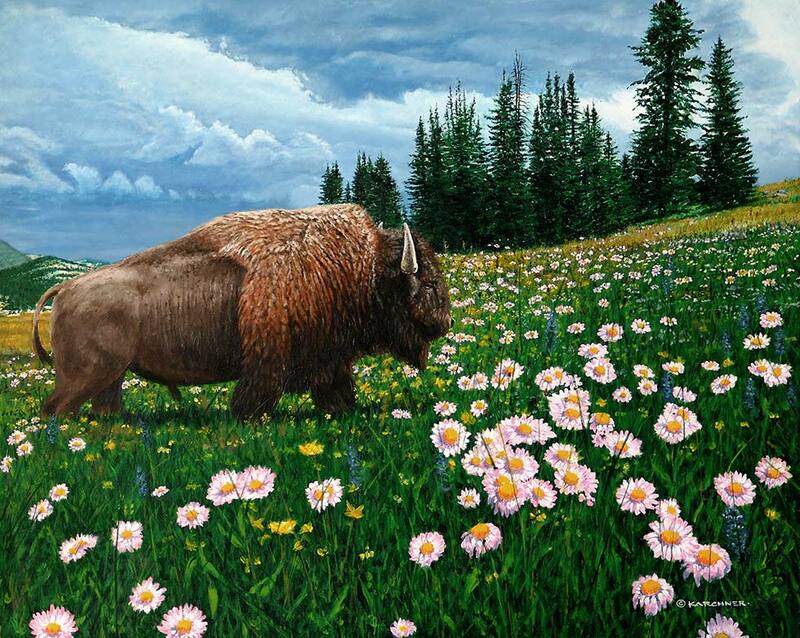 Denny began working closely with many museums and galleries around the country in 2004. 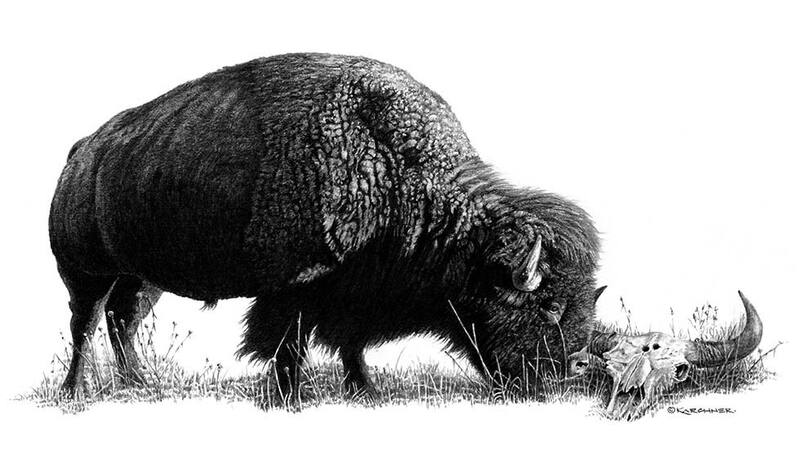 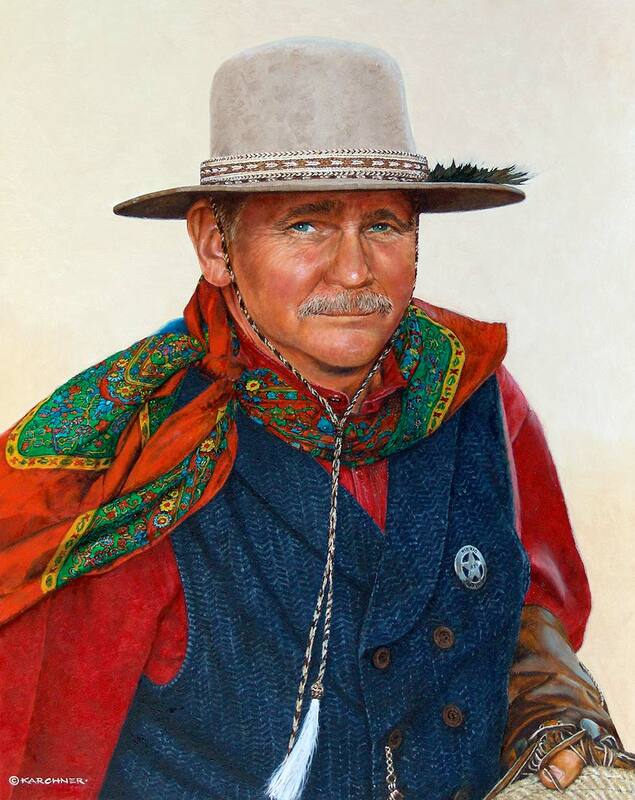 Denny’s good friend, George Mongon, the former Deputy Director of the Buffalo Bill Historical Center in Cody, Wyoming, requested a few of Denny’s works for the museum’s annual art show and fundraiser. 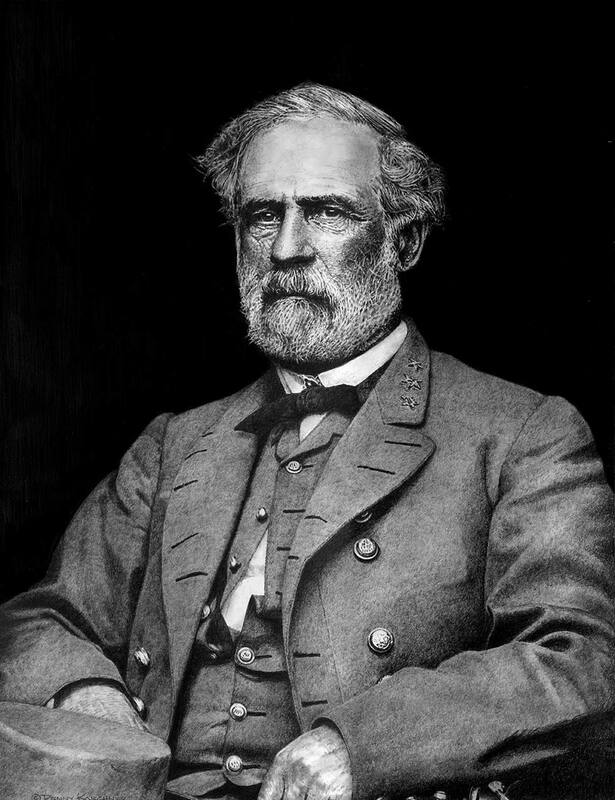 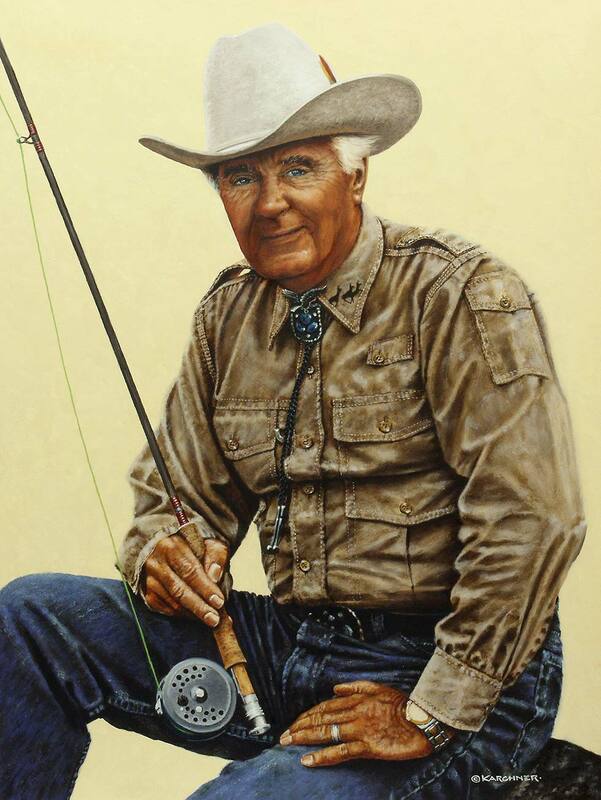 Denny donated four originals that year. 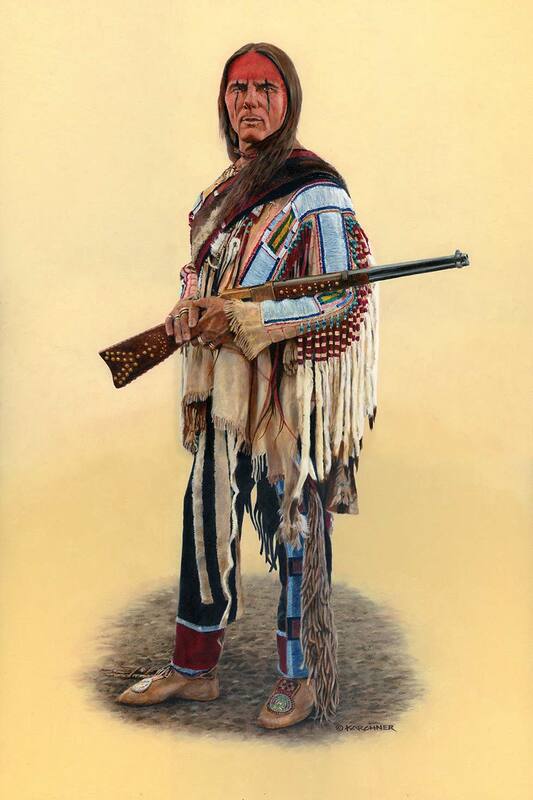 Those pieces, Cody-The Legend, Chief Wolf Robe and The Three Ubertis, each brought a nice donation to fruition for the museum. 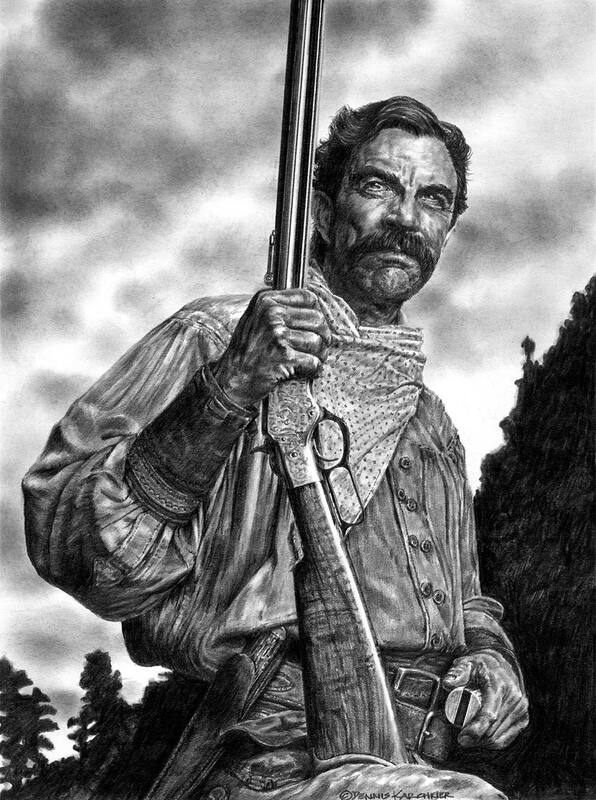 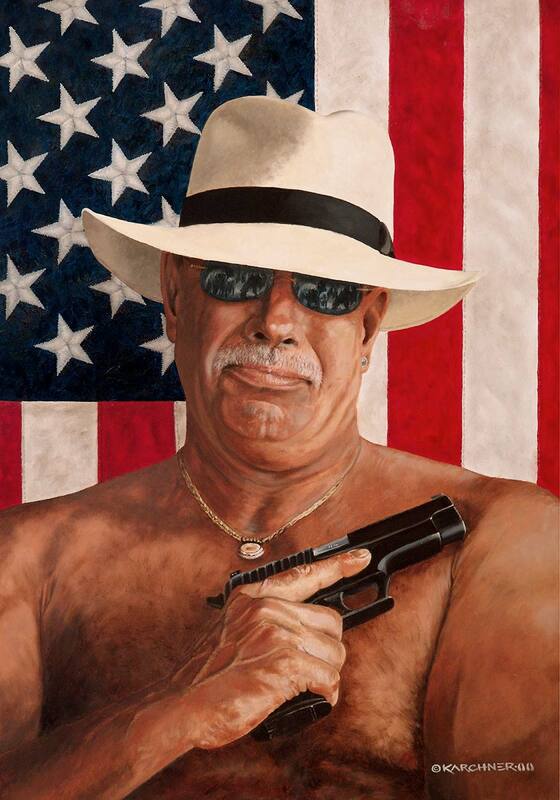 Denny also donated a pencil portrait of Tom Selleck that year for another fundraiser, entitled Selleck With Rifle, posing as Cable from the 1997 movie Last Stand at Saber River. 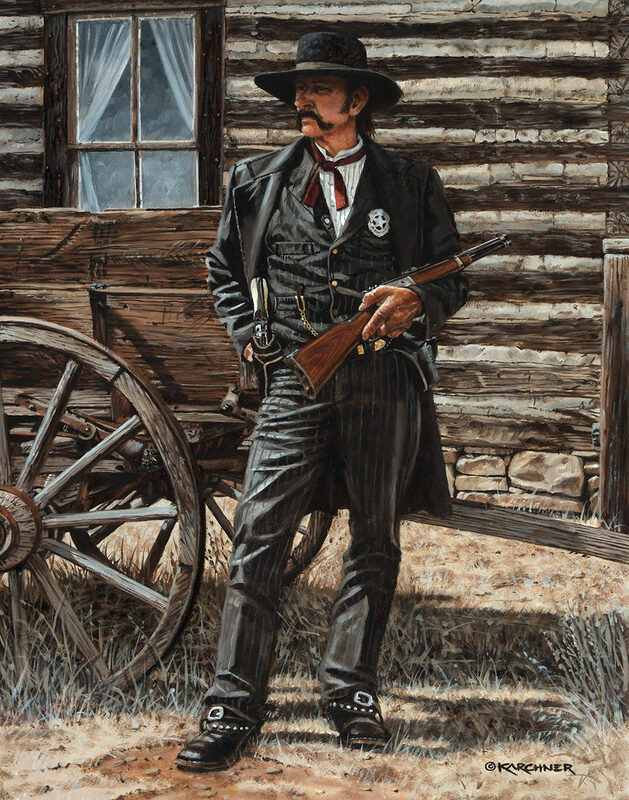 Selleck is a long-time member and large financial supporter of the Buffalo Bill Historical Center. 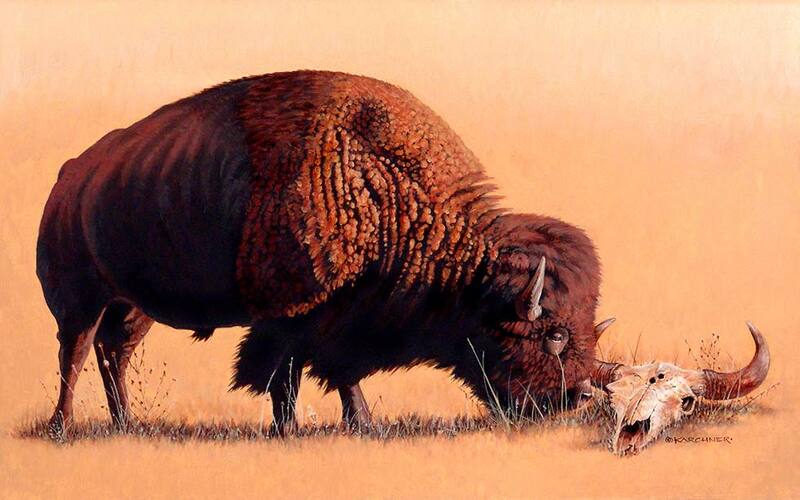 That original also brought a nice donation to the museum and now hangs in a private collection in Nevada. 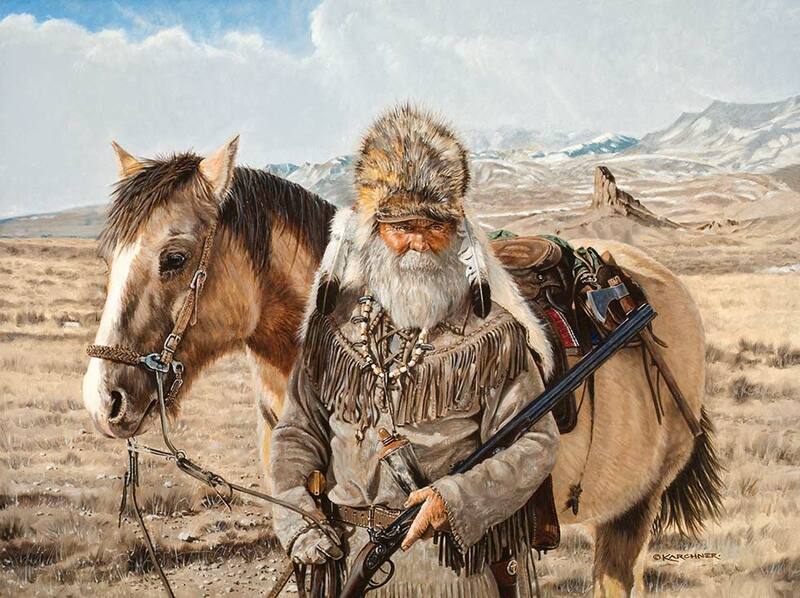 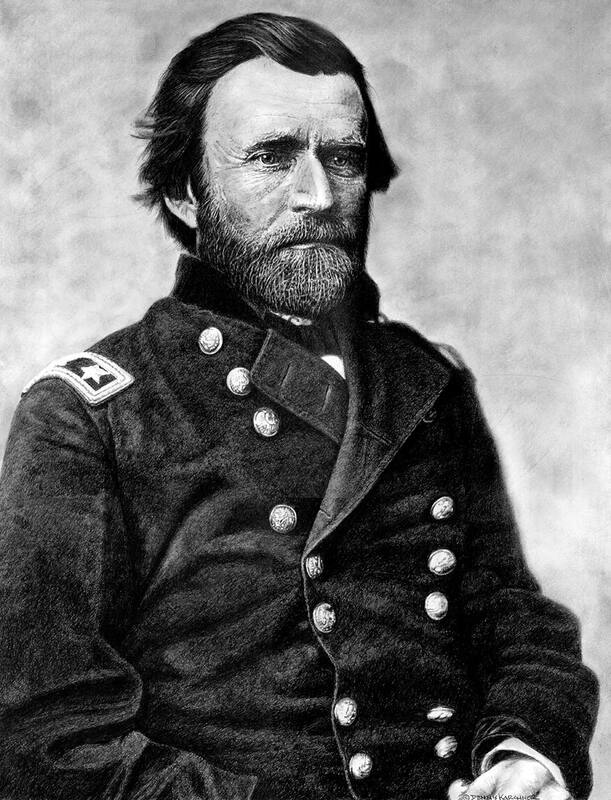 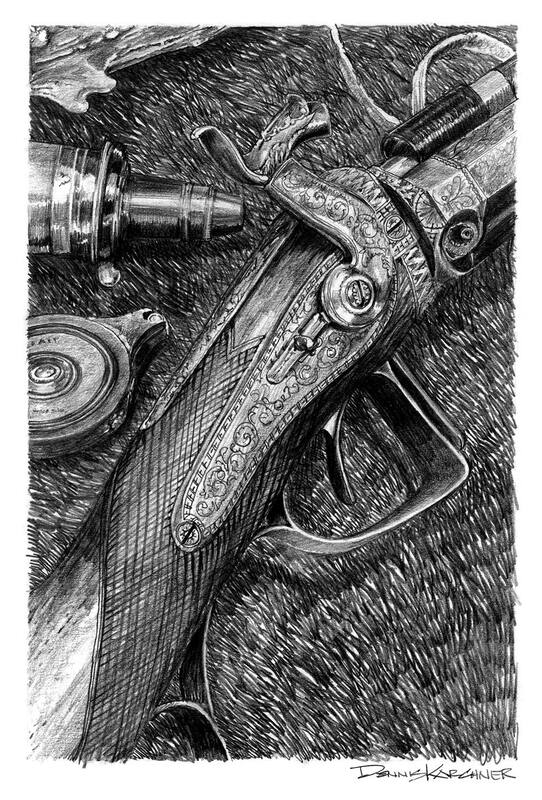 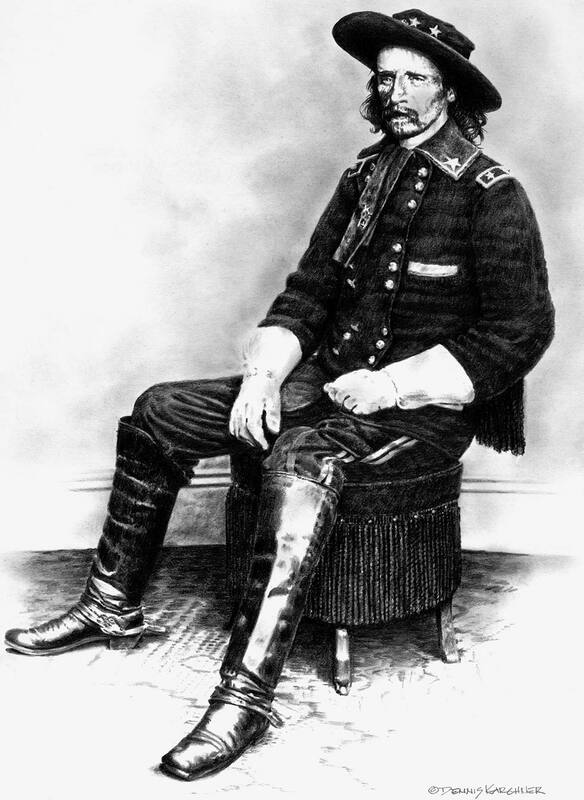 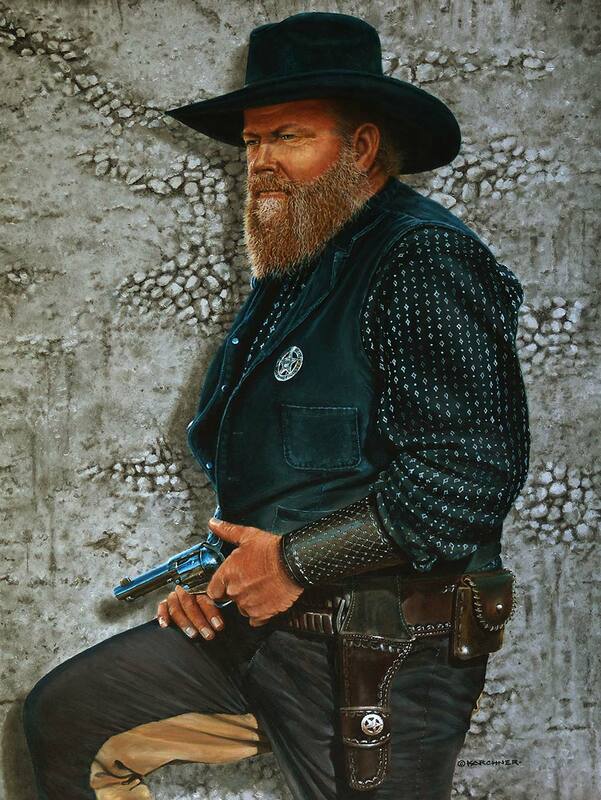 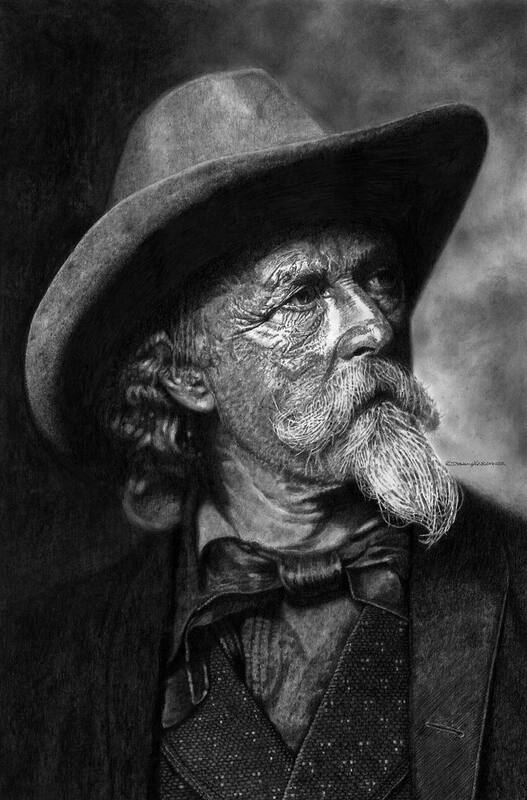 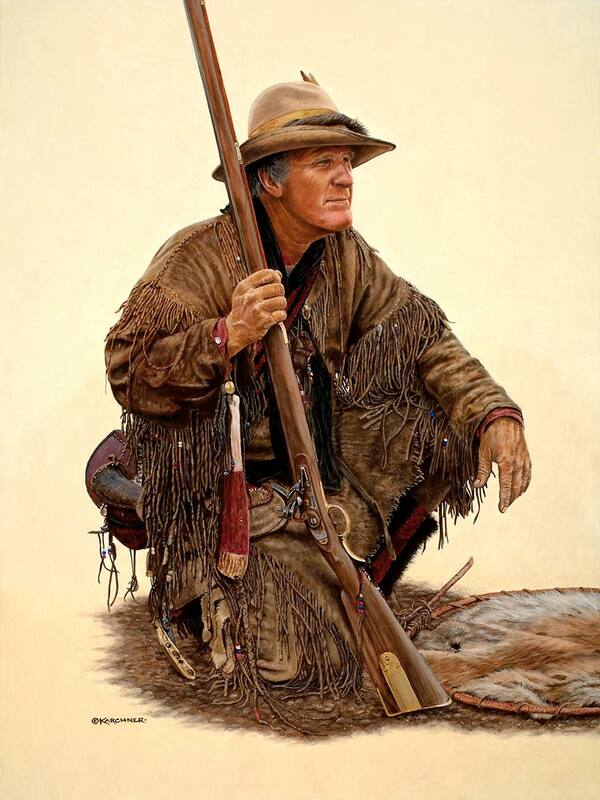 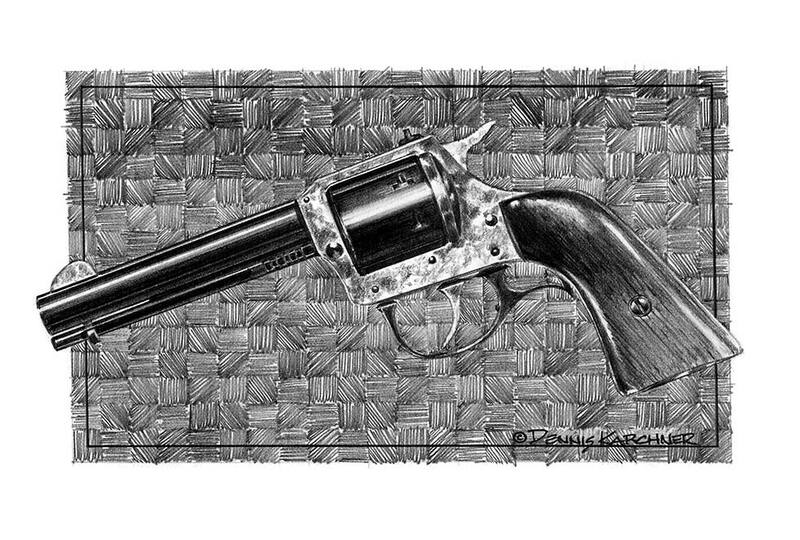 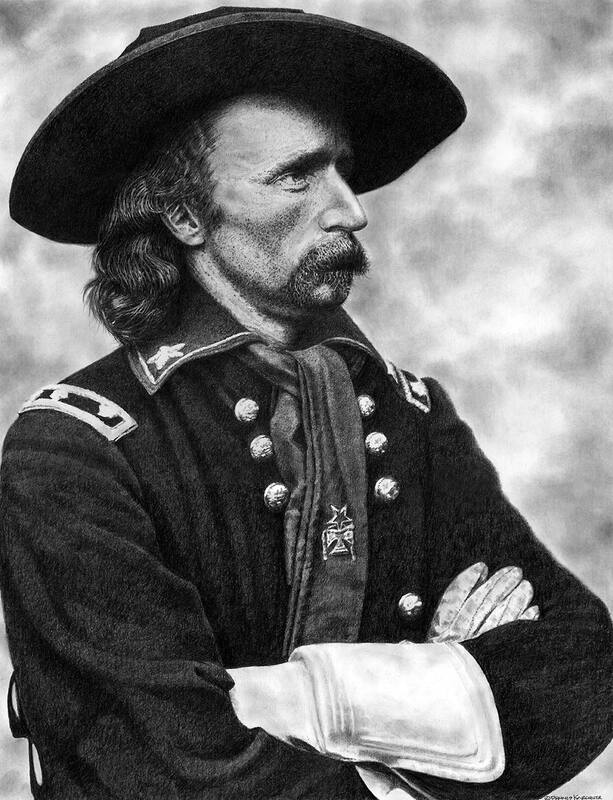 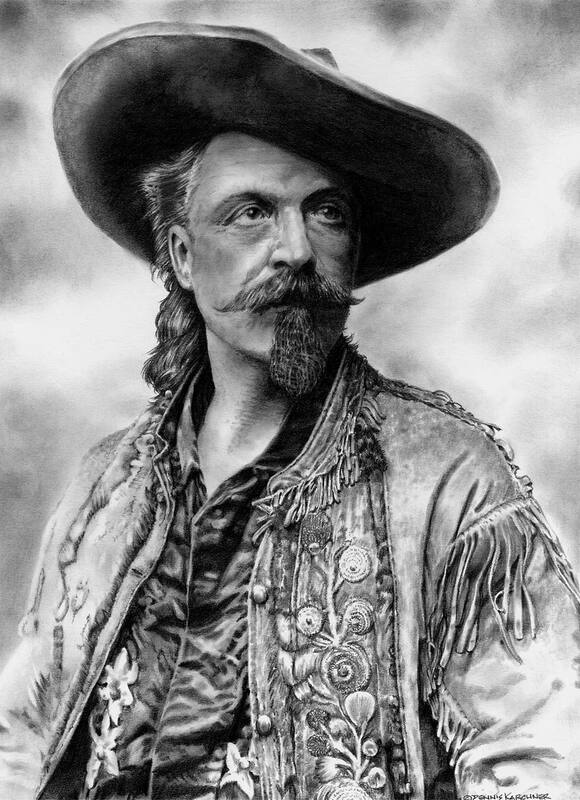 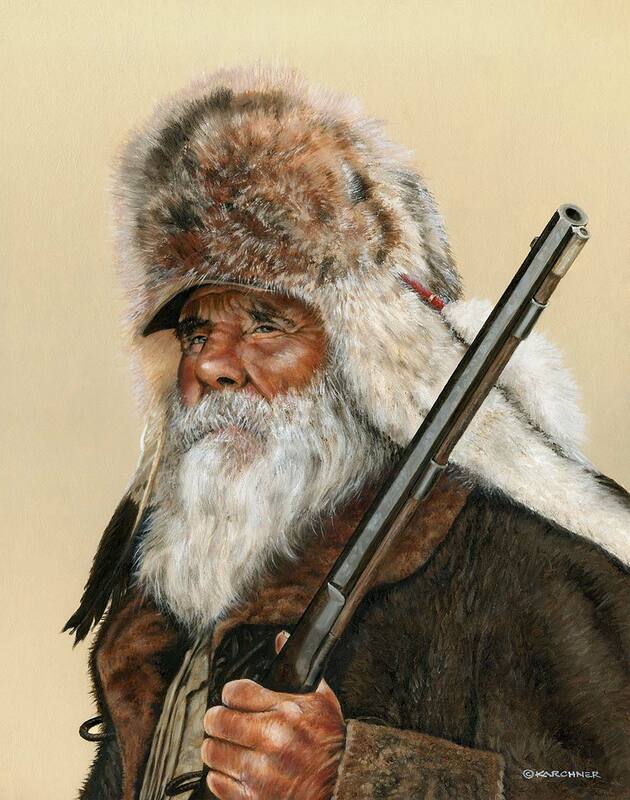 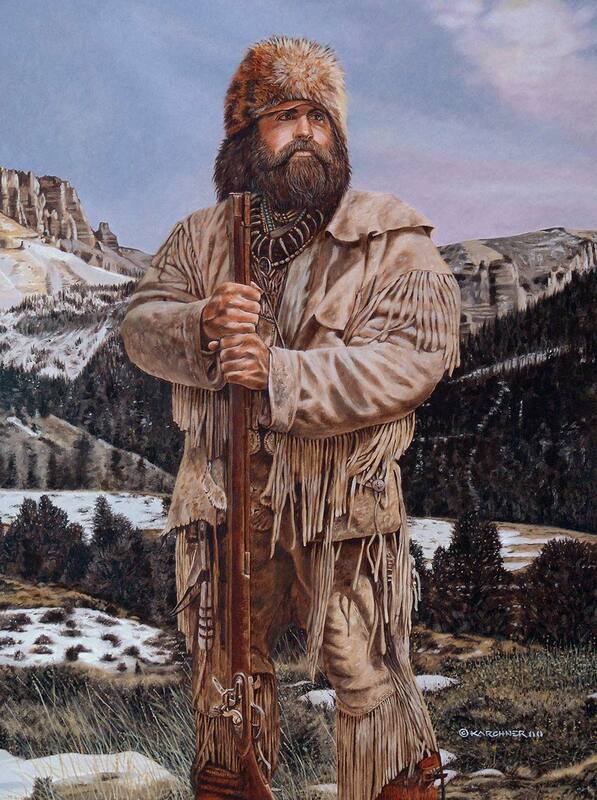 A digital print of Denny’s Cody-The Legend has been archived into the Buffalo Bill Historical Center’s private library along with several other pieces. 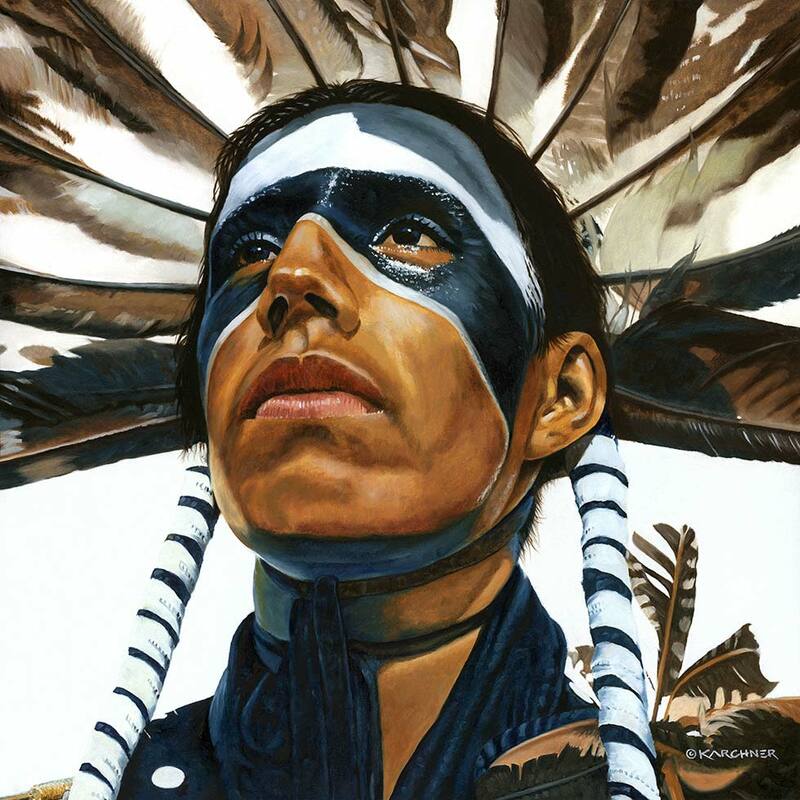 A DVD of the artist’s work along with a time-lapse video of The Three Ubertis work-in-progress was added to the museum’s library as well. 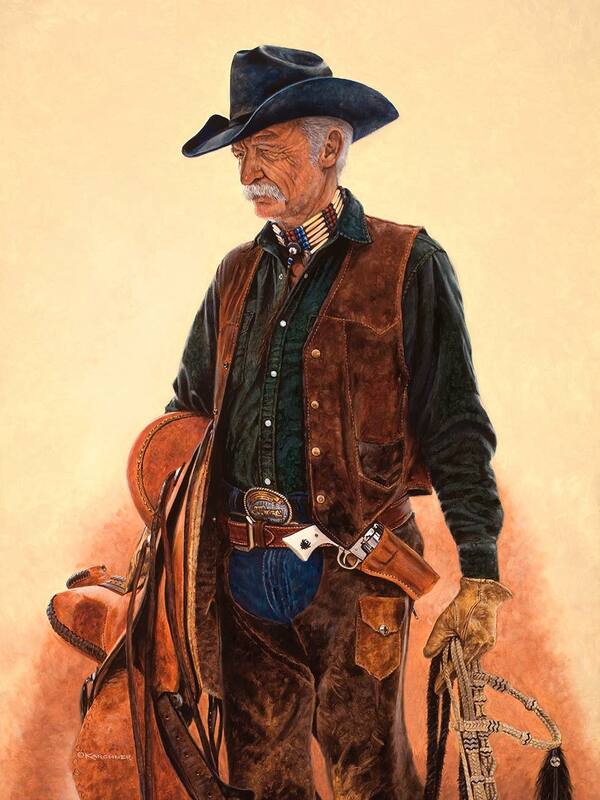 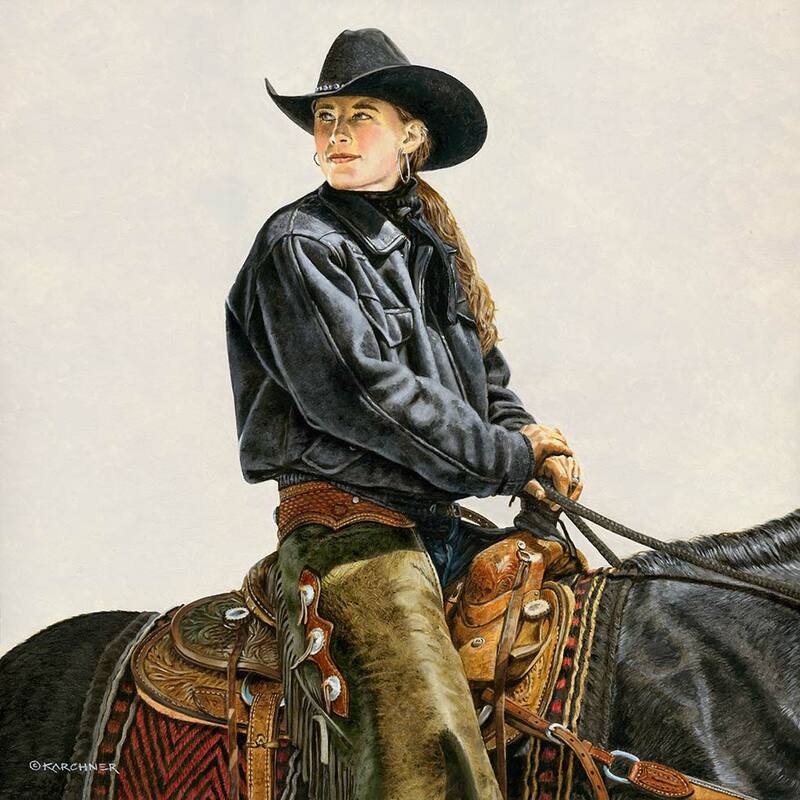 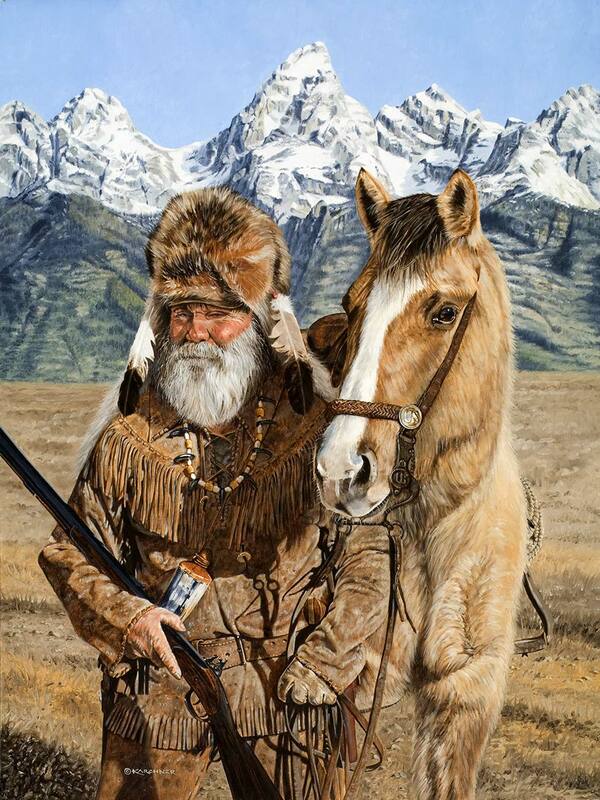 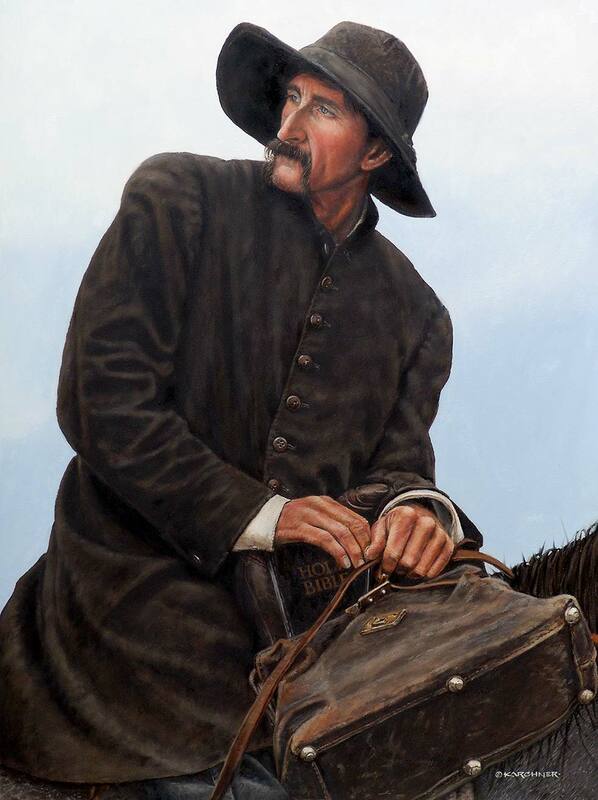 In 2008, Denny donated the original oil painting of his friend Don Hershberger, Bronze Artist, titled, The Bronze Cowboy to the Buffalo Bill Historical Center for their annual art show and auction. 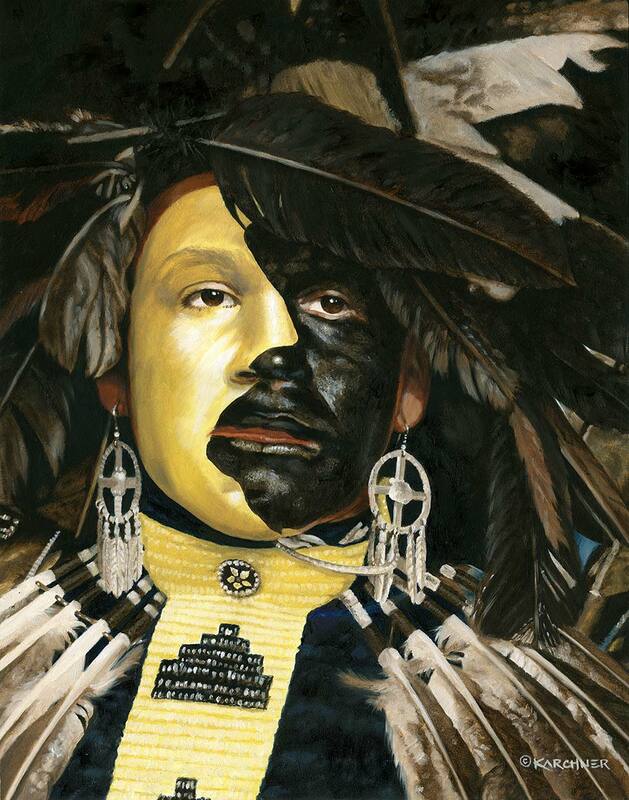 Denny plans future donations to support this worthy and honorable art institution. 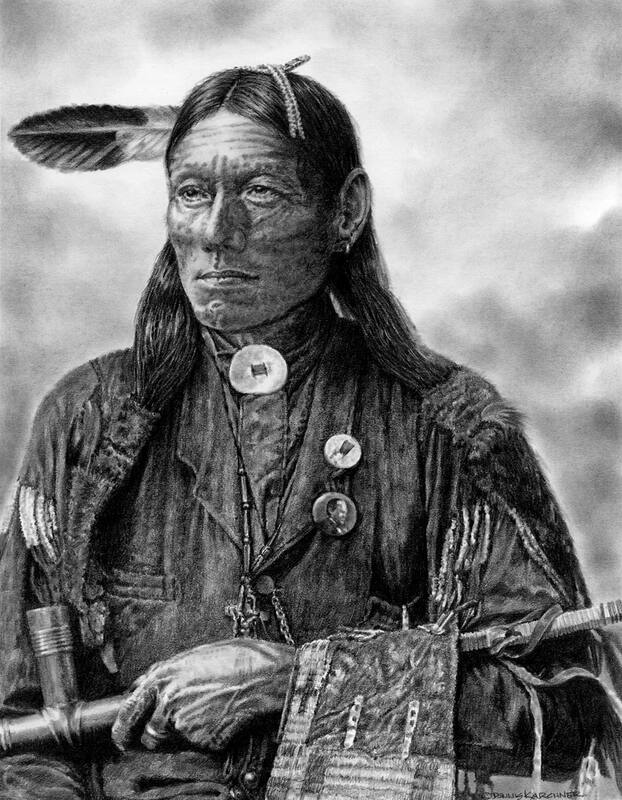 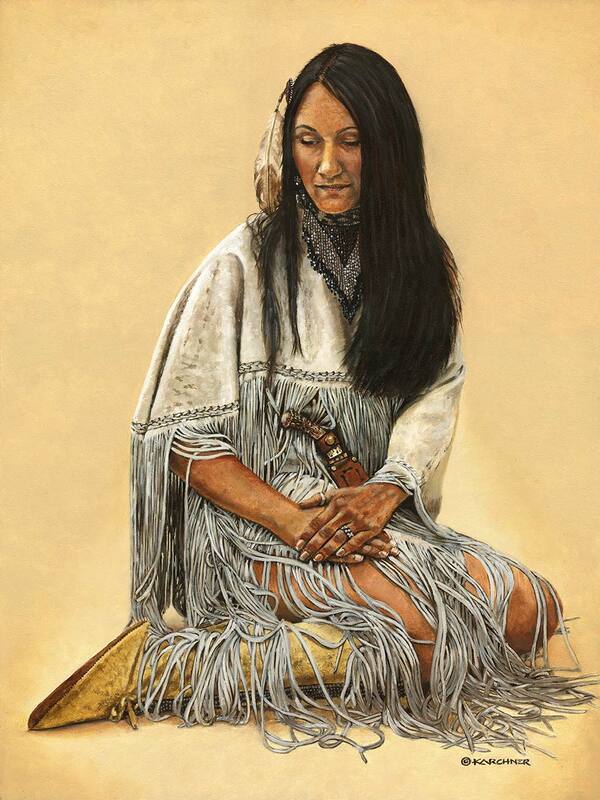 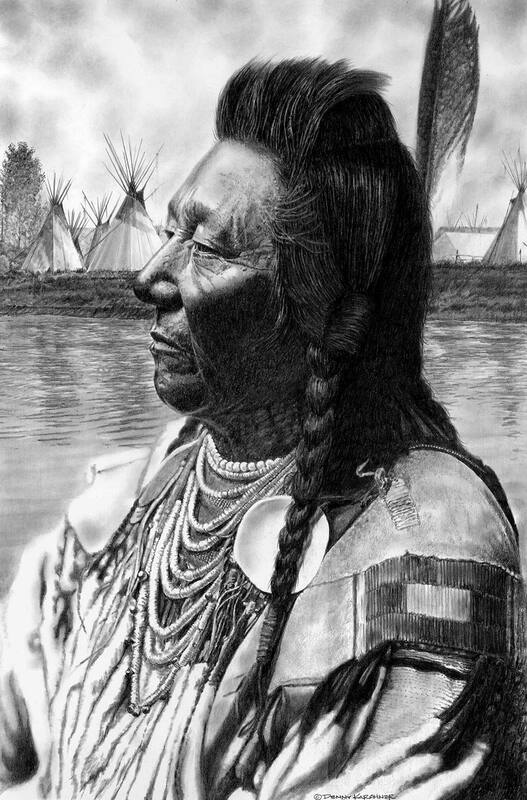 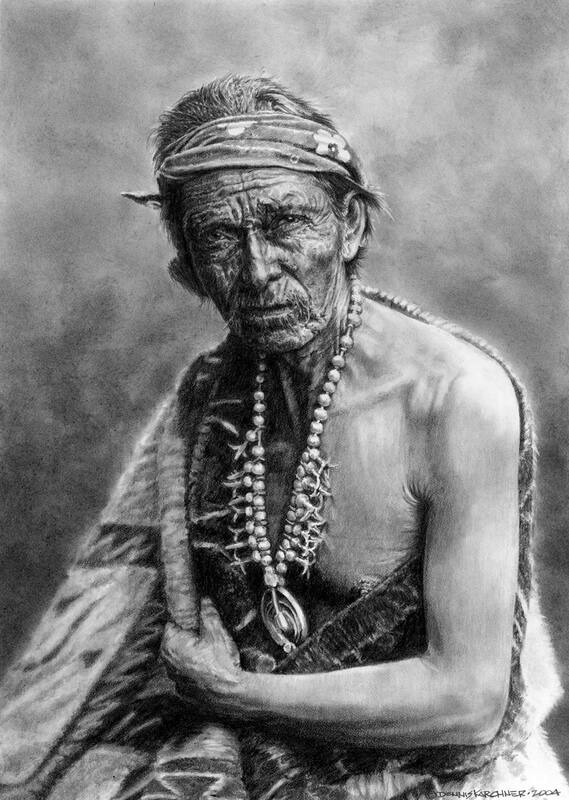 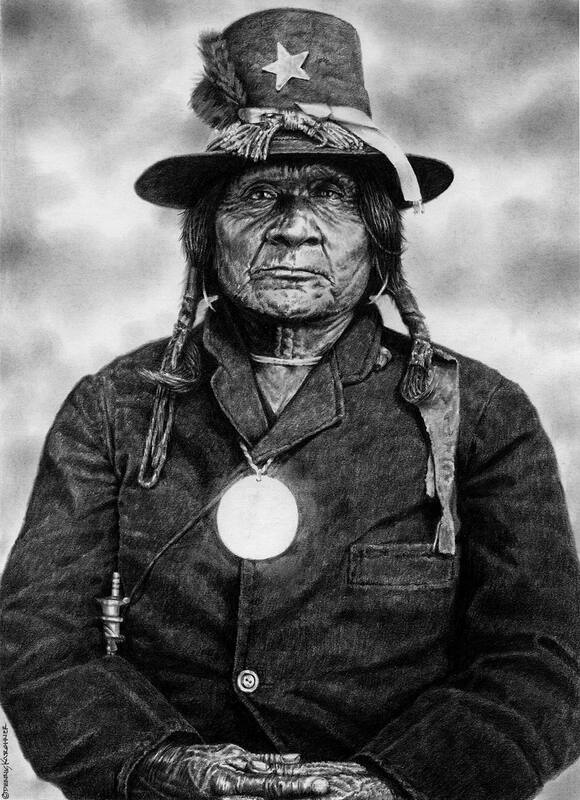 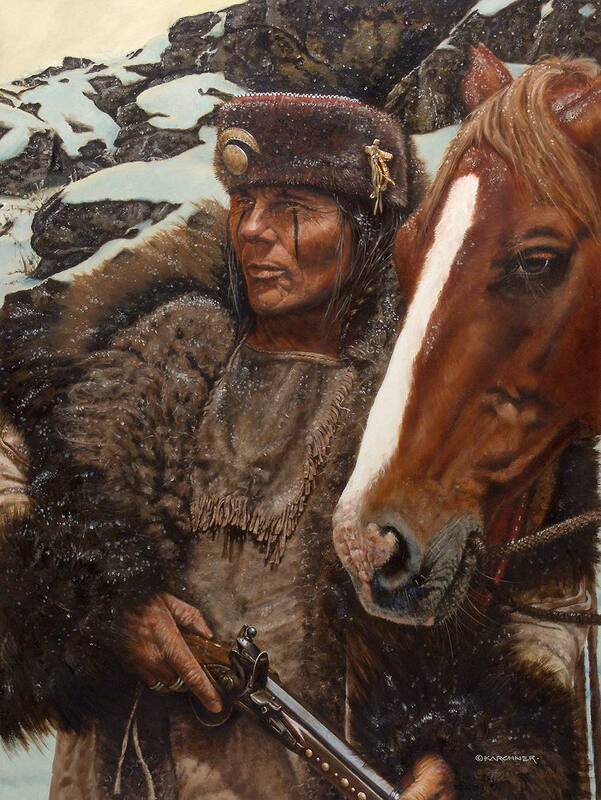 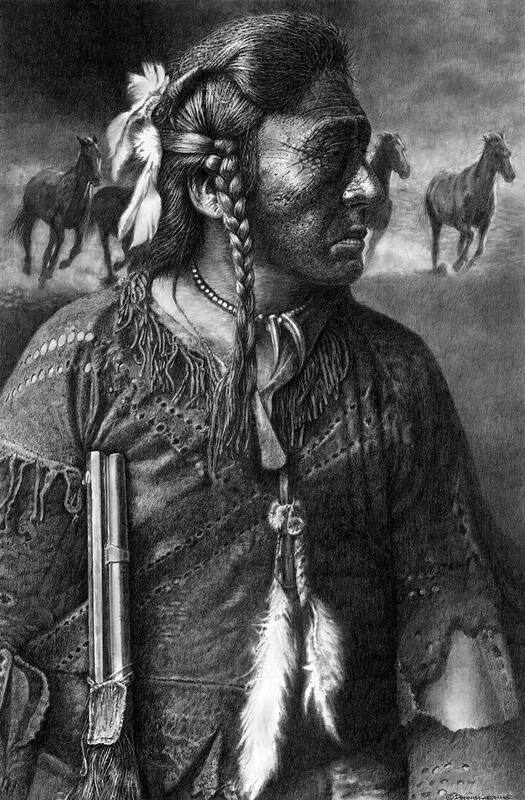 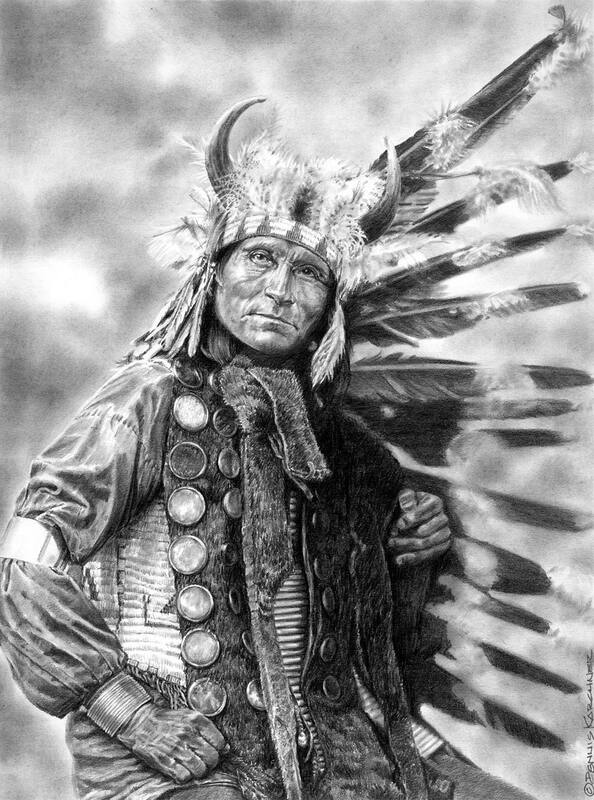 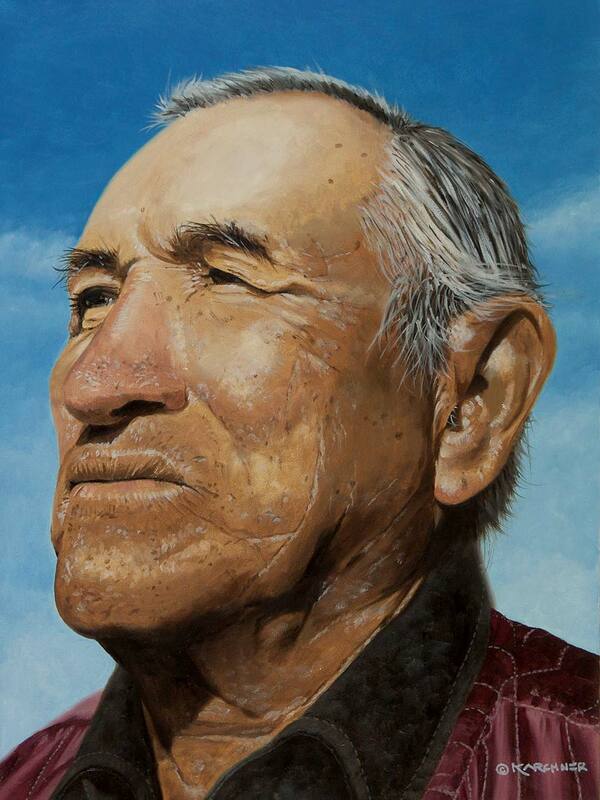 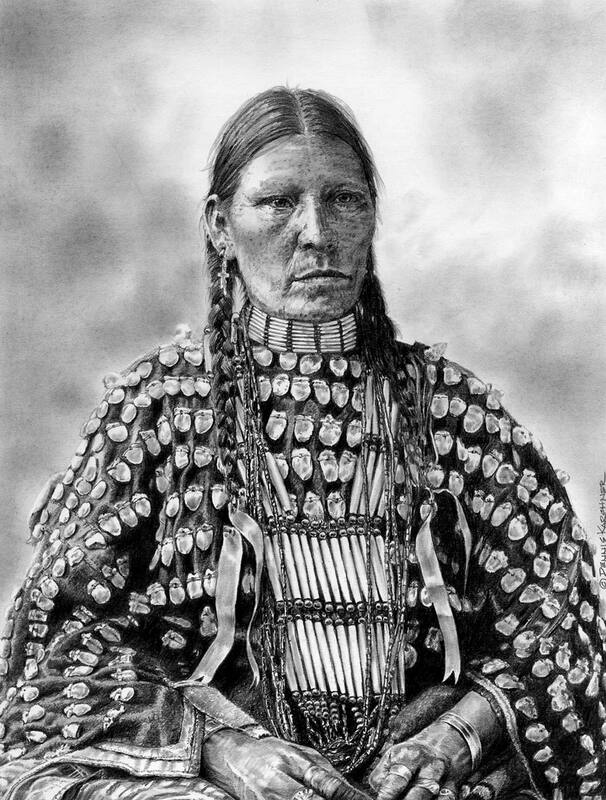 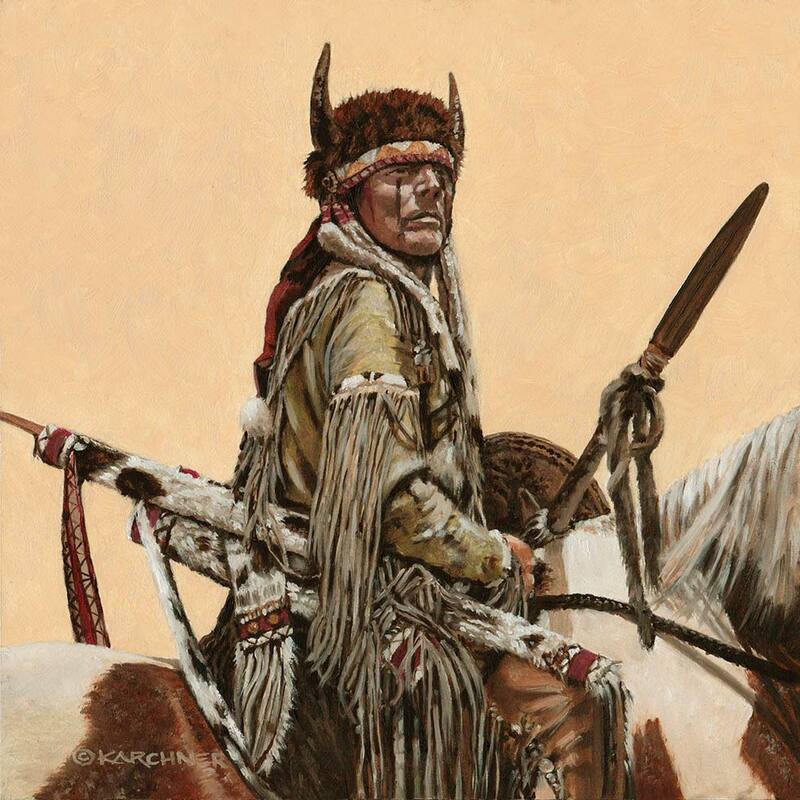 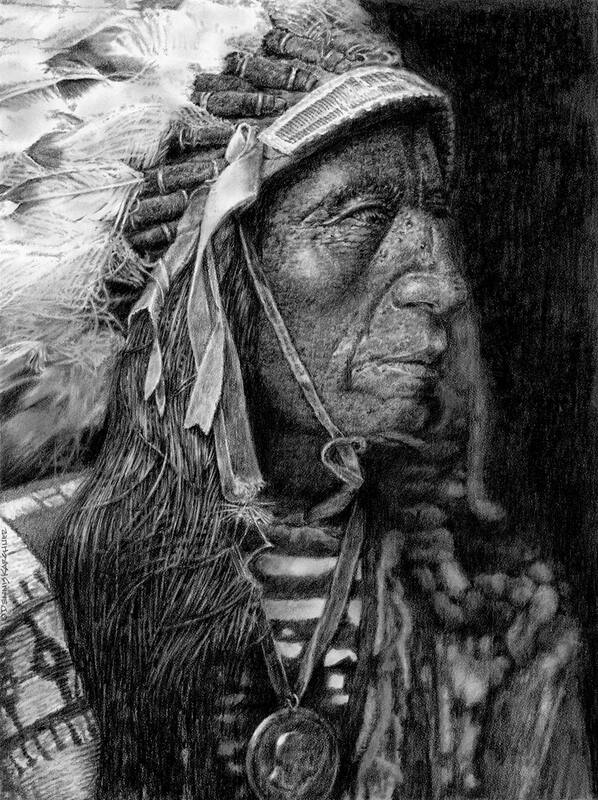 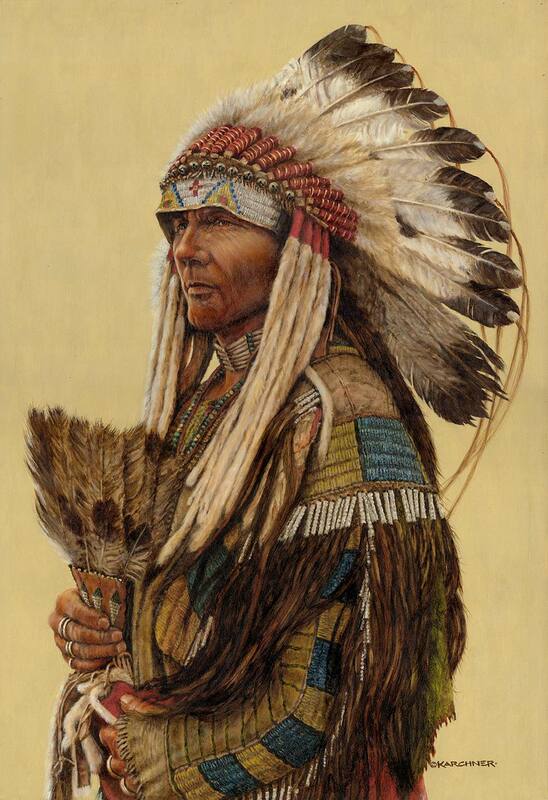 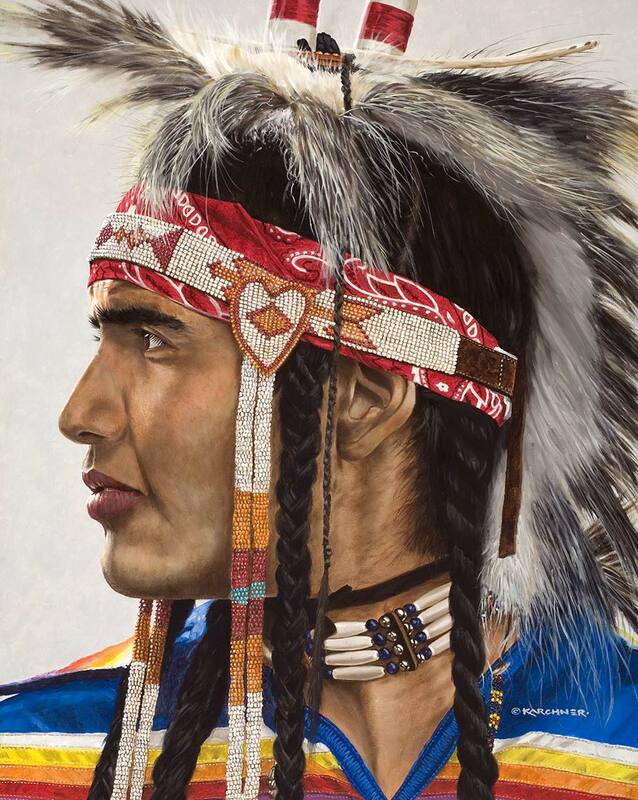 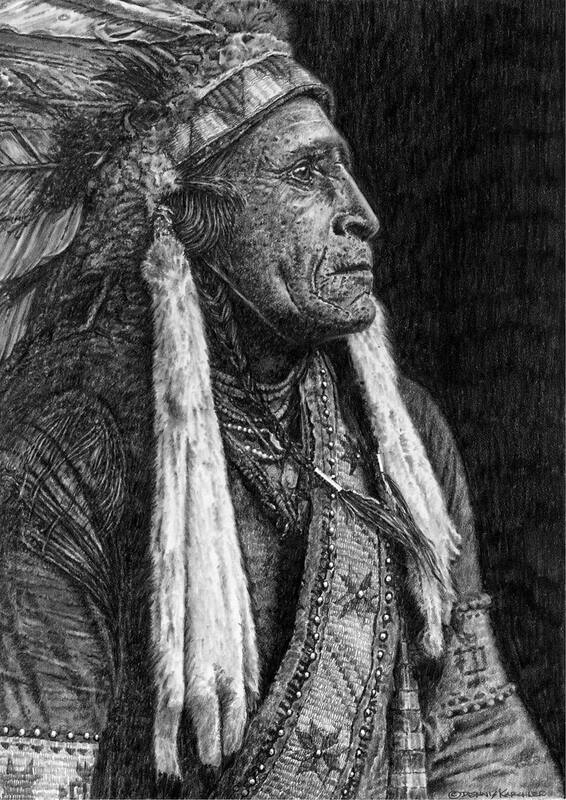 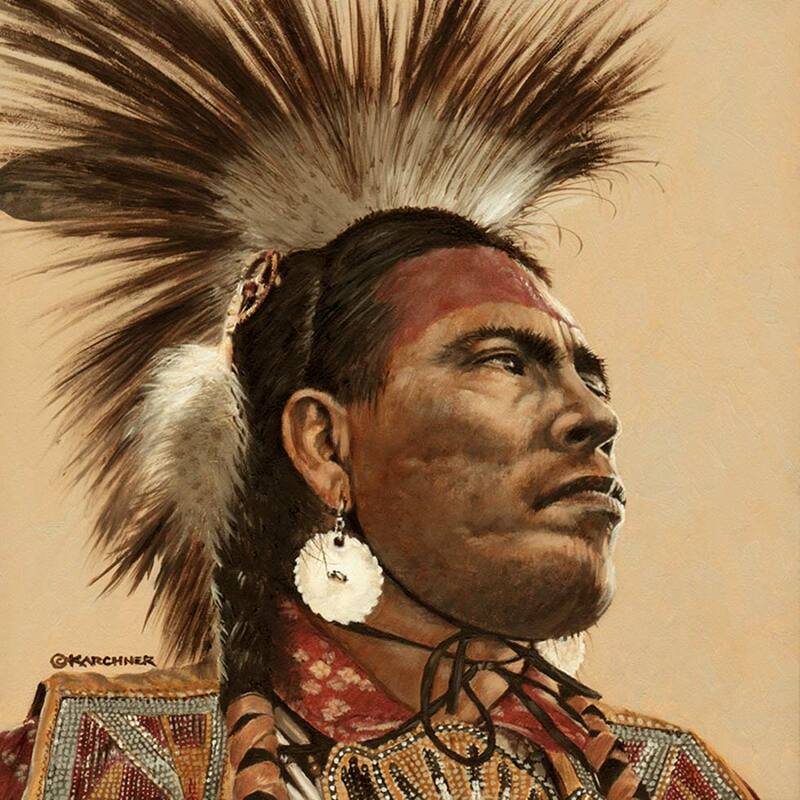 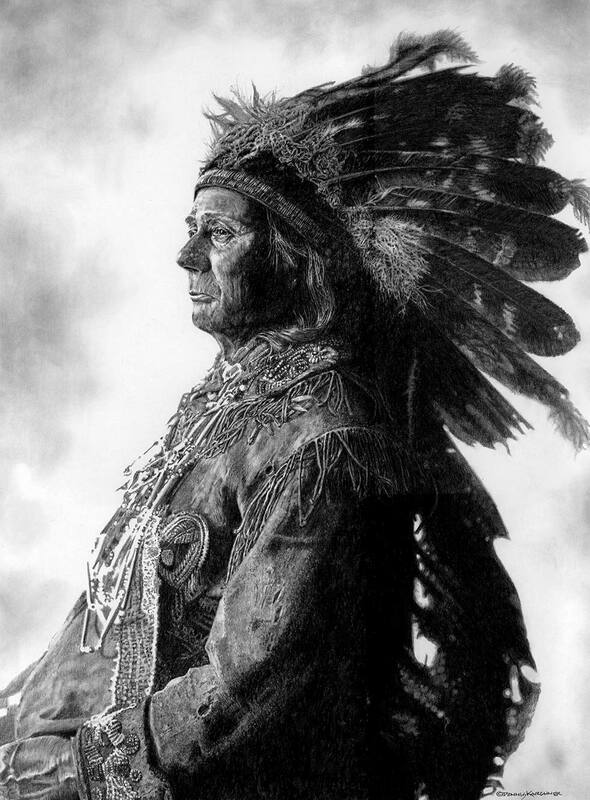 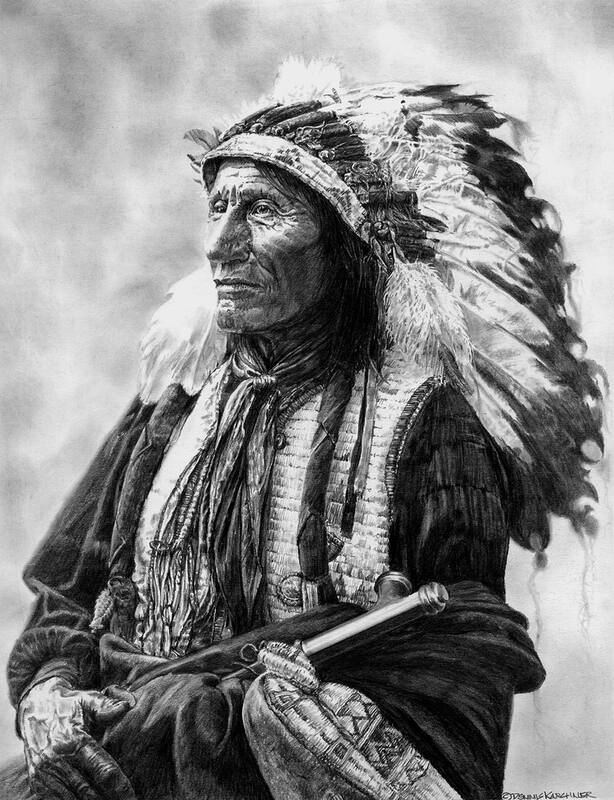 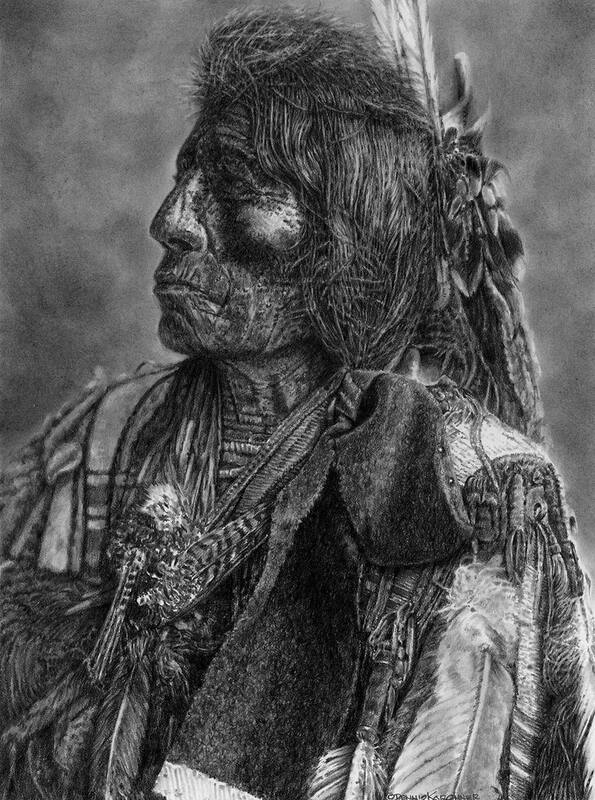 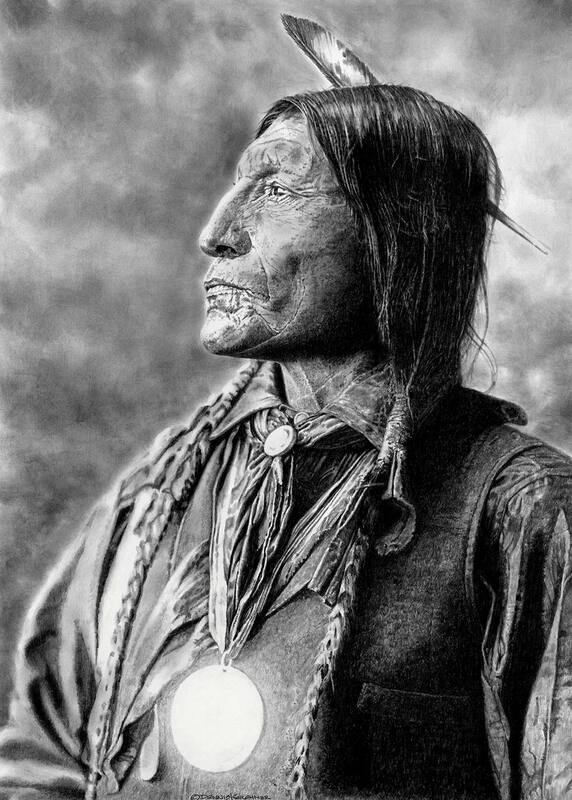 In October, 2005, Denny’s works were reviewed and two pieces, Horse Capture and Chief Tosh~A~Wah, were accepted for permanent display at the famous Booth Western Art Museum in Cartersville, Georgia. 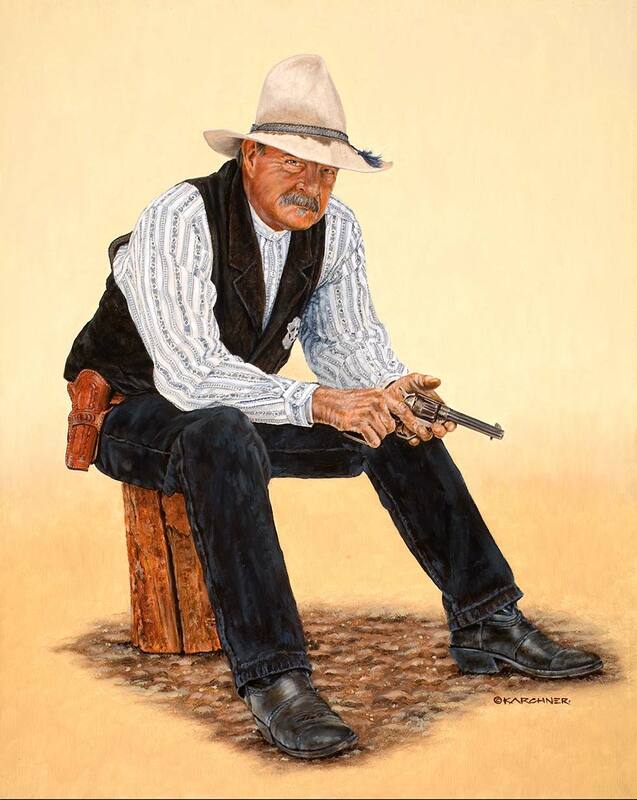 The Booth Western Art Museum has one of the largest collections of western art in the country from some of the most famous western artists past and present. 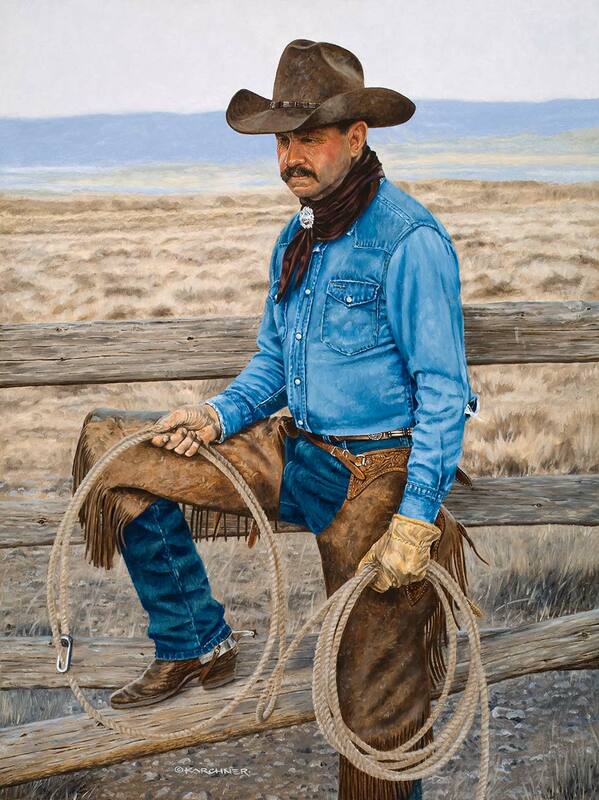 Denny was a featured artist at the Booth Western Art Museum, September 25, 2006 through November 19, 2006 in the Borderlands Gallery during the annual Southeastern Western Art Symposium, the museum’s largest art promotion and sales event of the year. 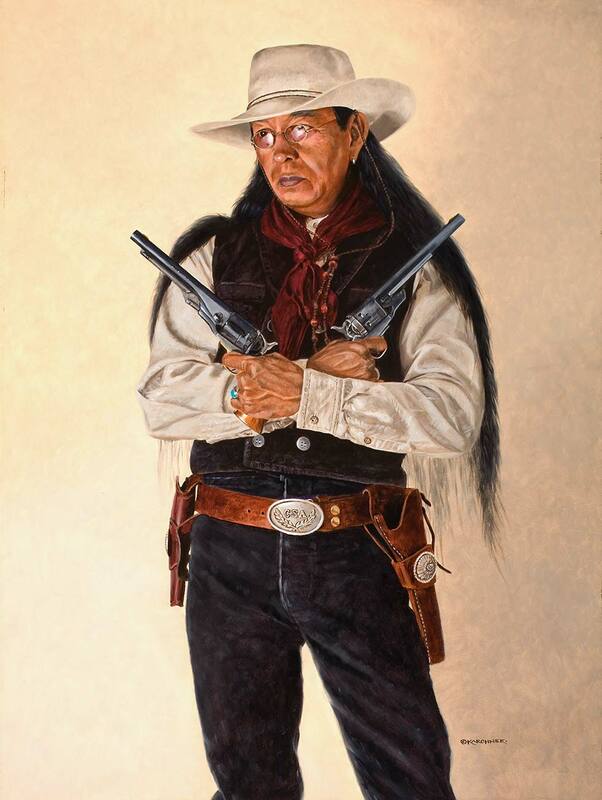 In 2008, the Booth Western Art Museum purchased the original oil painting of Jim Dunham As Kid Rio to be hung permanently in their new portrait gallery. 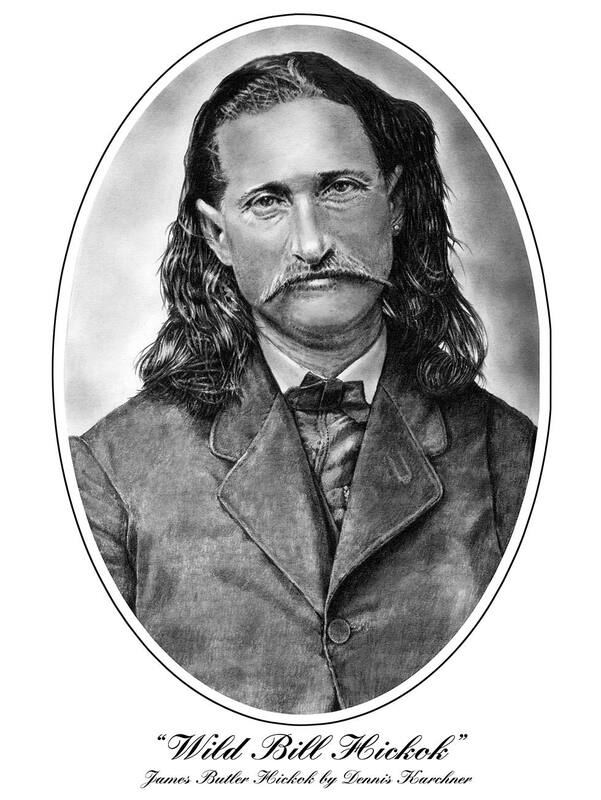 Jim Dunham is one of the Directors of the museum. 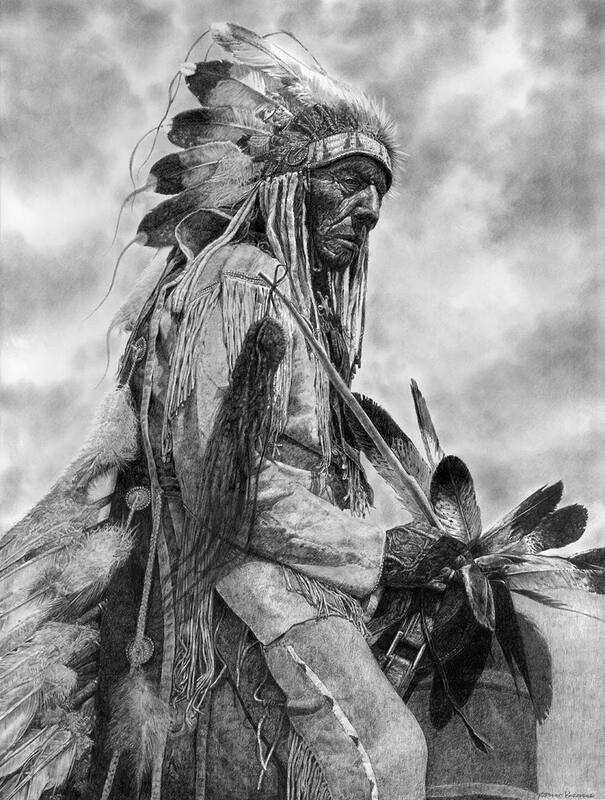 Denny’s original artwork is currently hanging and for sale at the Caleco Gallery in Cody, Wyoming and The Plainsmen Gallery in Clearwater, Florida. 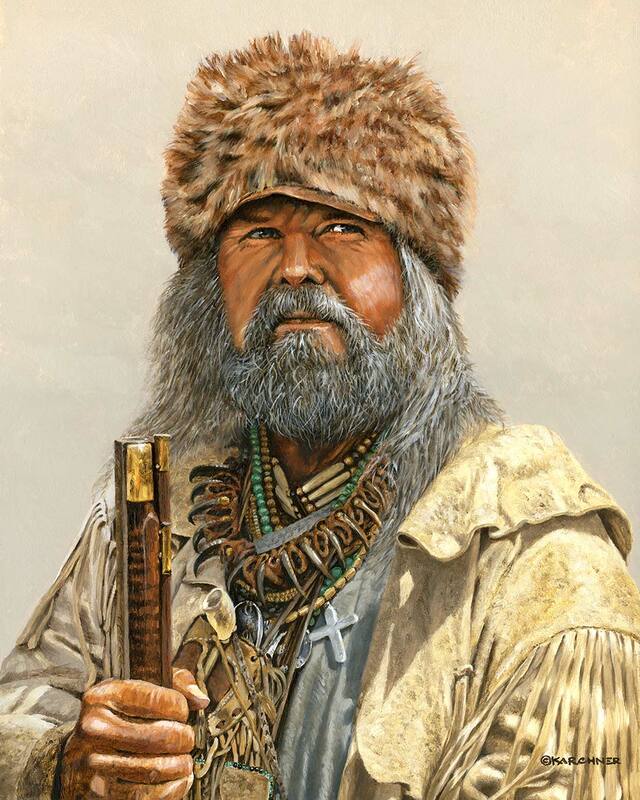 Denny expects to have many more new works of art completed for upcoming and exciting future events country-wide.